Awesome web-based Tron lightcycle game. Whatever that was yesterday, it seems to have passed. I ended up sleeping comfortably in bed last night, although I didn't use the machine. Thank you, thank you very much, I'll be here all week, drive safely, remember to tip your waitresses. Frequent fits of sneezing like siezures. Stuffed left sinus. Nose running copious streams of snot. Either I'm coming down with something, or else this is an ill effect from my BiPAP, which was blowing warm dry air up my nostrils for who-knows-how-long this morning after the water in the humidifier was gone. I feel generally awful, too, so I canceled my appointment this afternoon (which was at the Sleep Lab, ironically). This after last night's bout of *Extreme Hatred* while I was trying to go to sleep. I desperately hated the idea of having to go out yet again, and this hatred accumulated momentum until it became "I hate everything about my life, I hate living!" Fortunately the storm passed overnight, and this morning I washed up on the shore of waking like a shipwrecked dream-sailor, exhausted, aching and spent. In my near-delirium this A.M., I accumulated a lot of info during my morning web-scraping, including some really interesting stuff about Asperger's Syndrome. The descriptions ring with eery accuracy, but I still reject any attempt at self-diagnosis as yet another attempt to find an excuse for my being a messed-up loser. They typically have a penchant for accuracy and a hard-wired dislike for the disruption of routine. Those with the condition often develop a passion for a narrow field that drives them to excel in it, but fail to realize when they are driving others crazy by talking about it. And they are reflexively honest, a trait that can be refreshing — or not. "Almost everyone I contacted about this were either sort of perplexed or — I don't want to say hostile," said Mr. Hatton, who said he had been fired from more than 26 jobs over the last two decades and now received federal disability assistance. "They thought I had found an excuse or something." I like this bit, from Peter Merel's interpolation of the Tao Te Ching. When I made an offhanded reference to an old disco song, "You can ring my be - e- elll" Gini didn't recognize it, so this led to a search of the iTunes Music Store to score a sample. I couldn't remember who the singer was at first, then "Andrea True Connection" popped into my head, one of those old disco groups. iTMS couldn't find that, but helpfully asked if what we were really looking for was "Andrew's Tree Collection." When we googled "Ring my bell lyrics," we found that the artist was, in fact, called Anita Ward. Searching iTMS for Anita Ward yielded, do you mean "Sanity Hard." Yes indeed, sanity is hard when you can't find Andrew's tree collection. 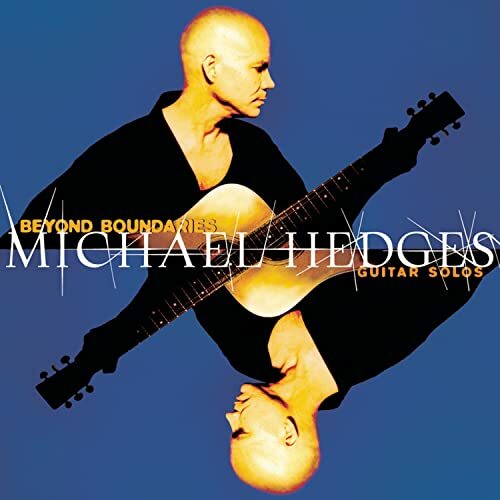 New today, happy anniversary to us, a pair of Michael Hedges CDs: his first, "Breakfast In The Field," and a new best-of compilation, "Beyond Boundaries: Guitar Solos." Mmmm: tasty. The following is a Zen story, rendered by Kirk Bailey, found on an interesting website called WikiWiki. Early one very cold winter morning, a monk arose, and being very cold, went to build a fire. Alas, all the firewood was gone. So he took one of the two life-sized wooden Buddhas in the temple and chopped it up, and made a fire and soon was made warm. "What?" bellowed the enraged master. "Fool monk! That's only a wooden statue, not a holy man." "Well then," replied the monk, "may I have the other statue? It is very cold this morning." Hearing this, the master was enlightened. Because Mom's coming over this afternoon, I wanted to take my shower early this morning, right after I got up. In the midst of this process, (while I was thinking about how I'd recently been forgetting how conducive our living situation is to Dhamma studay and practice, and how I should rejoice in that) an important insight arose, striking with the full force of illumination. These despressed moods, these suicidal fantasies: they're perhaps Mara's most useful tool. They knock me out of balance and very effectively distract me from practice. For a long time I've seen how Mara uses conceit, but this is really the first time I've seen how depression is used. And not only that. The stuff I attribute to Dad (which essentially boils down to "You're bad, and here's why...") is actually not Dad at all. It's Mara, it's an aspect of this very mind. Just as "I'm great" is a conceit (because it conceives and affirms an "I am"), so too is "I'm awful" a conceit. In reality, it's all just physical and mental phenomena arising and ceasing very very quickly. And that's all. Nothing to get chuffed about. There is a lighter feeling today, the opposite of that heavy, downward-pulling feeling from yesterday, and before. And there is happiness. Bully: n. 1. A person who is habitually cruel or overbearing, especially to smaller or weaker people. I think that's it; it's not so much that my dad was abusive, it's that he was a bully. I'm now comfortable with the B-word, in exactly the way I never was with the A-word. "The mind is its own place, and in itself can make a Heav'n of Hell, a Hell of Heav'n." 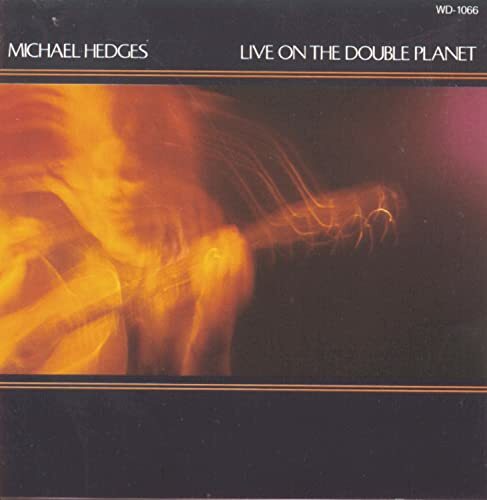 Strangely shocking news: I just found out today that Michael Hedges died. In 1997. I didn't hear about it at the time, but Gini found out via iTunes that a guitarist I used to like had passed. We thought it was a recent thing, but the news turns out to be 7 years old. Late this morning it occurred to me that it was a lovely day and I should go for a walk. Nancy at the front desk said, "Everybody should get out on a day like this." She seemed certain about this, so, being somewhat impressionable, I decided to take the iPod out for a walk. These iPod's need their exercise, y'know. Accompanied by Alanis Morissette's "Unplugged," I strolled. Webster's defines strolling as: "To wander on foot; to ramble idly or leisurely; to rove." It's clear I've much to learn about this gentle art form. It's still hard not to quicken my pace, to move as if with a purpose ("Gotta get over to that tree!") It would be so nice to be able to make no effort at all, to go for a relaxed amble, walking just to walk. I'm getting a little better at it -- maybe -- but there's a long way to go before mastery, or even competence. Then too, it would probably be a lot more enjoyable if my back didn't hurt so much. I kept finding things, views I wanted to draw. I wanted to bring out my sketchbook and revisit these places. A view of the pond. A tangled stand of grey-barked trees. Some kind of plant with a thorny prickly pod, whose name I don't know but whose appearance pleases me. Geese in pairs, honking their displeasure at my intrusion. The buildings of Prestwick Chase, seen at certain angles -- and looking across the little pond between C and D wing, which somehow makes me think of seaside place, some resort. Since I got up this morning, I have been engaged in what I call, for lack of a better term, slow-motion practice. I remember Leigh encouraging this at his retreats -- "Really let yourself slow down." Very slooooooowwww, graceful movements encourage continuity of mindfulness, that form of samadhi called khanika, or momentary concentration. There's a very interesting passage in Amy Schmidt's book about Dipa Ma describing Dipa Ma's moving verrrrrry slooooowly at her initial retreats at the Mahasi Center. It may be that this slow motion practice and attention to continuity assisted with this morning's very pleasant sitting. This experiment bears repeating. I like going slowly, it's very conducive to tranquility. Really marvelous sitting this morning. Eventually locking into samadhi (radiating metta toward Antony Woods), with some strong piti-sukha. Then there was a subtle shift, with sukha (happiness) coming to the forefront. This may very well have been the second jhana. I hesitate to use the j-word for fear of over-estimation. But the experience involved freedome from the hindrances, the stilling of discursive thought, and non-distracted awareness, first of delightful sensations in the body and then of the emotional happiness. Sure sounds like the progression from first jhana to second jhana. When Pattern Recognition's Cayce Pollard has an allergic reaction to bad advertising or some weirdness in her life, she can calm her frazzled nerves with the mantra, "He took a duck in the face at 250 knots," a phrase she once overheard in connection to some aviation mishap. He took a duck in the face at 250 knots. "Loveless" really is the perfect ambient guitar record. I could just set iTunes to autorepeat this playlist over & over & over. 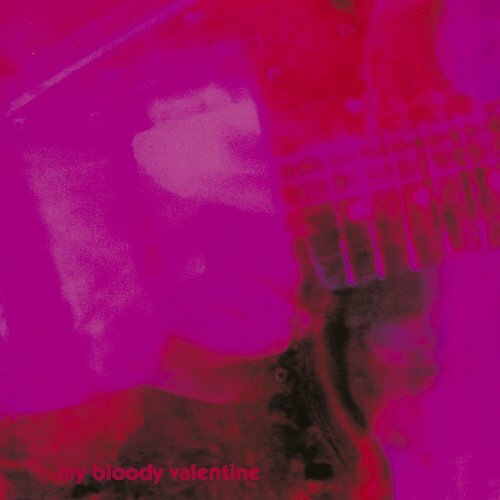 Too bad Kevin Shields can't ever seem to finish anything and MBV haven't released anything really since 1991. There is an obscene amount of desultory enjoyment to be had here: a feed containing all the images currently being uploaded to LiveJournal. An almost meditative state arises, seeing the cross-section of strangers' photos & art, the sheer variety of what's there. Such profusion. An excellent time-waster. 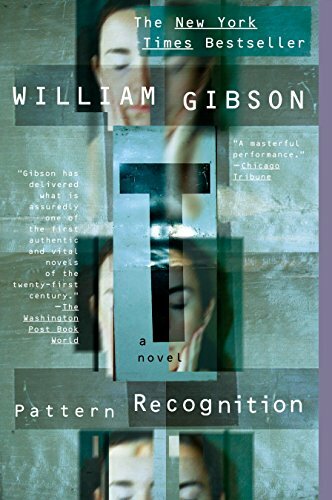 Finished reading both "Endless Nights" and "Pattern Recognition" this afternoon. At times my mood has been poisonous today, but I did enjoy this period of reading. Something deeply satisfying about finishing something. Getting all the way through. Not bailing. I have this very deeply ingrained tendency to not finish things. How many first chapters have I written? How many fragments that never went anywhere? Is it, in the end, just laziness? Am I guilty as charged? Was he* right about me? Sometimes when there's too much weirdness, it becomes necessary to unplug and leave it off for a while. Then, after a sufficient time, one plugs in again, and the weirdness disappears as mysteriously as it arrived. This works with computers, and it works with my head, too, apparently. This afternoon, my mind turned so sour, with such obviously bad chemicals in my system, that I ended up having to lie down in a dark room for a couple of hours. And now I'm feeling fine. I'm definitely not normal. Other people don't have to be this careful about when they eat, and what they eat. Other people, when they're an hour late having lunch, don't have their minds turn poisonous. Oh well. At least the reboot worked. Although now there's a headache developing, like a cramp in the left side of my forehead. As I suspected, I'm really loving MBV, their oceanic, roiling guitar drone. But I'm amused to note how much intentionality this enjoyment entails. I read an article a few weeks ago about Kevin Shields, and then and there I more or less decided that I was going to love this band, this record. The enjoyment is there, and it's genuine, but it's also... willed. Isn't that odd? This pleasure formed as much by the pleasant auditory sensation as by my desire to enjoy something, to be "into" some new music. I want to be fascinated, infatuated, captivated, and I've been looking around for new things to mesmerize me. The band Ivy has also been auditioned in this regard, based mostly on their song "Worry About You," [theme for the Stephen King TV show, "Kingdom Hospital]. Curious, this longing for something to be passionate about. Oh, this is an old pattern, I've just recognized. An old strategy for warding off depression; it's almost as if I'm trying to find new ways to bind myself to the world. Yes, that's it. To keep from floating off into the grey. Still and all, it's really beautiful in its own right, and the enjoyment rings true. 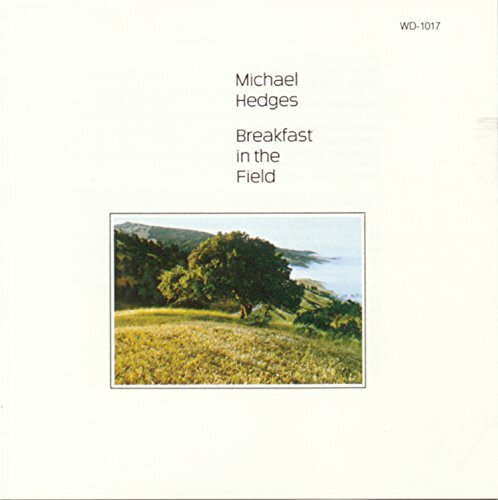 The British musical press used to call this this shoegazer, or dream pop, or miasma, I think. Interesting to note the very definite deleterious effect that having taken Vicodin had on my ability to concentrate in this morning's meditation. It was as though the mind had become more slippery, repeatedly sliding off the main object. Making more effort helped a little, but still. However, there was a nice warm flow of metta, very pleasant, and -- as Sophie reminded me, of something Ayya Khema said -- just making the effort is wholesome, and one should allow onself to feel content about that. Just now I was sitting here reading bOING bOING, and I happened to notice how beautifully peaceful my body was feeling. Then I remembered that, in response to a great deal of lower-back pain this morning, I took one of my slowly dwindling supply of hydrocodone. I don't do this very often -- that's why the stash dwindles slowly, because I usually try to just bear the pain mindfully. But, my goodness, how amazing it is to have a body that isn't wracked. I'd forgotten what a joy it is. I wish I'd appreciated this when I was younger, before my injuries & the fibro (or whatever it is) siezed this body & shook it like a Doberman with a rag doll. 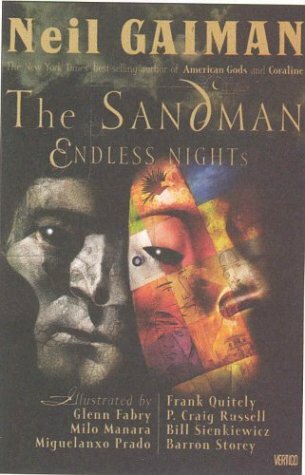 Reading Neil Gaiman's "The Sandman: Endless Nights." Revisiting Dream and his family. Just finished "Fifteen Portraits of Despair." Devastating. Dave McKean's art is scary-good. ~1 hr. sitting, metta directed to many different people. The fact that the people kept changing seemed to prevent any one-pointedness from developing, but it felt right somehow. We learned last night from Sakula that her husband's mom has colon cancer, so there was a strong desire to send metta there to her, Sheena Williamson, via Sakula and Alistair... For some reason, it's still a bit difficult to send metta to Antony. I do it, and mean it, but the mind gets distracted & buffeted, turbulent thoughts, history. But still I wish him well. Yesterday evening, around the time I was listening to one of the tapes from the 2002 Leigh Brasington course, I realized how much I've been neglecting anapanasati in favor of metta. True, that one day when I did anapanasati as my formal sitting, the lack of metta made for a bad day. But what a difference it made last night, when I kept the breath in mind when I walked up to the Corner Cupboard to pick up our dinners! Continuity of practice, continuity of presence. Felt like a revelation. So my current thinking is to continue doing metta in formal sittings, but keep the breath in mind all the rest of the time, use the breath as an anchor and do... well, do vipassana, do the Burmese condensed version of satipatthana, like all the IMS teachers are always saying. :-) Sometimes it takes me a while to figure these things out. Metta & breathing, that's the ticket. It's amazing, it's remarkable, how effective mindfulness of breathing was for stilling distracting thoughts. See the Meghiya Sutta, Udana IV.1. "A bhikkhu, Meghiya, who is established in these five things should also cultivate four additional things: foulness should be cultivated for overcoming lust; lovingkindness should be cultivated for overcoming malevolence; respiration-mindfulness should be cultivated for cutting off (discursive) thinking; the perception of impermanence should be cultivated for the removal of the conceit 'I am.' For when one perceives impermanence, Meghiya, the perception of not-self is established. When one perceives not-self one reaches the removal of the conceit 'I am,' which is called Nibbana here and now." Watched "Phone Booth" (2002) this afternoon on HBO. Thoroughly exhilarating; really tight & lean. Very impressed with Colin Farrell and it was so good, one could almost forgive Joel Schumacher for the travesty "Batman and Robin." Almost. 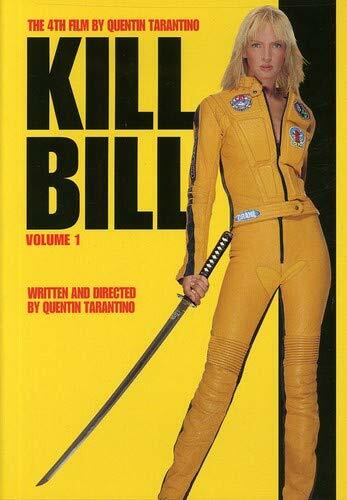 Gini often expresses her intense dislike of Quentin Tarantino's films, and QT the person (or rather, QT, the media persona) vociferously and vigorously. And yet, seeing a TV commercial for "Kill Bill Vol. 2" that said, "in theaters," she inquired & suggested that I take a daytrip out to the mall sometime soon to see it. That's how awesome my bunny is. That's how much she loves me and wants me to be happy. This is the first piece of truly brilliant Internet marketing I've seen. It's also really freaky. The Subservient Chicken from Burger King. Have it your way, indeed. About an hour, metta. Switched early on to the pleasantness of the heart glow. Nice piti & sukha. "Had an interesting experience yesterday. For several days, I've been aware of an increasingly depressed mood. Some of it may have had to do with canceling the Leigh Brasington retreat; even though I knew it was the right thing to do, there was still some sadness and disappointment, I guess. Probably other factors, too, like hearing that Antony Woods had been hospitalized. Anyway, by yesterday morning, the ebb and flow of the depressed mood finally crested and broke, and I was just flooded. Old thought patterns emerged, old ideation. A big time yuck. But then last night, I got an email from Leigh Brasington. I had written to him last week, to let him know that I wasn't coming to the BCBS retreat. And what he wrote back was so sweet, wishing Gini and me well, and saying that I was one of his favorite students ["even though Dhamma teachers aren't supposed to have favorites ;-)"], made me feel so happy. It was amazing to see: all that depression just vanished then and there. One mood passed and another arose, just like that. Amazing, how little reality these moods have. All it took was a few lines in an email and my mental state changed completely! A good lesson in conditionality there, and in impermanence..."
>and it would be inappropriate for me to leave her at this time. recovering well. I send her - and you - lots of metta! understand and know that you are doing exactly the right thing. I'll keep that in mind. Enjoy the tapes. 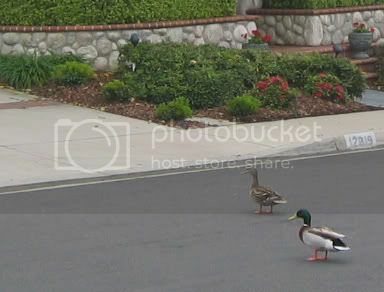 >Hope you have an excellent retreat. Thank you - and may you as well. Take care - both of you. Last night Antony's dad, Bill Woods, emailed us that Antony was in the hospital. This is Anyony's [sic] dad here. This is just a short message to let you know that Antony has had to go to hospital for (hopefully) a few days. This means that he will not be able to join in the next chat session. Please let any other of Antonys buddhist firends [sic] know, so they will not be worried. He will be in touch as soon as he returns home. I knew that he hadn't been doing well recently. In chat, he's talked in great detail about his delusions -- usually to just me, when there's been no one else around. I guess that means he trusts me, to some degree. In this morning's metta session, spent a great deal of time radiating loving-kindness to Antony. I hope he gets well soon. This all really started back in December (or late November?) when his shrink changed his meds. He had more energy, but he got hyper, insomniac and deluded. Before that, back in the good old days, he was often lethargic, referred to wanting to lie in bed a lot, but -- aside from the ever-present hypochondria -- he was stable. I wish they'd go back to his old meds. While yesterday's plunge into the slough of despond might have related to withdrawal from hydrocodone, it seems equally likely to have occasioned by the lack of metta bhavana. So today, back to the metta. Samadhi not so good, but still, warm and glowy, and definitely tipping the scale toward contentment. About 1:30 sitting. Anapanasati -- for a change of pace. Some nice piti - sukha. Stayed in bed longer than usual this morning, and when I finally got up, my lower back was aching terribly. I availed myself of the small supply of hydrocodone (5/500) that I had squirreled away after the accident of 12/17/02. It was quite breathtaking to be free of pain; a startling contrast. But during my sit this morning, the medication noticeably affected my concentration. Thoughts kept drifting to Antony, and to the mildly annoying emails he's been sending lately. Sending metta to him did alleviate the mild annoyance, though. In a couple's session with Chris yesterday, we finally came to a resolution regarding the upcoming retreat. I'm not going. It just isn't appropriate for me to go off and leave Gini when she's just had surgery -- on top of all her other problems. And we came up with a plan to appease Gini's mom, that the two of us could come and visit for mother's day. That'll give Gini several more weeks to heal. What kind of Bizarro World did I wake up in when I'm trading a Leigh Brasington retreat for a visit to Connecticut and I actually feel pretty good about that? [laugh] It's just that I know this is appropriate and sensible; that going on retreat under these circumstances would have been a selfish thing to do, and I feel good about making a choice that is unselfish & compassionate. After all, isn't that what this Buddhist practice is all about?